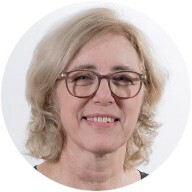 Eleonore Arrer, MSc, works at the Institute of Applied Nursing Sciences IPW-FHS at the University of Applied Sciences FHS St.Gallen as a research associate. She completed her Masters program in Global Health in 2017 and studied Nursing Science at the Medical University of Graz. 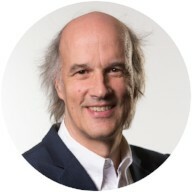 Prof. Dr. André Fringer, MScN, is the project manager. He is a nursing scientist and a university lecturer both nationally and internationnaly. He completed his studies at the University of Witten/Herdecke and received his doctorate from the Department of Family-oriented and Community Care by Prof. Dr. Wilfried Schnepp. He has been working as project manager at the Institute of Applied Nursing Sciences IPW-FHS since 2011. 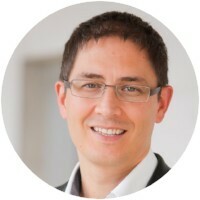 In addition, he is the director of studies of the program Master of Advanced Studies (MAS) in Palliative Care at the University of Applied Sciences FHS St.Gallen. Areas of research include Palliative Care,. family-oriented and community care as well as informal care. 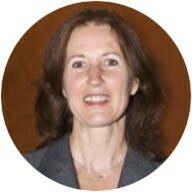 Prof. Dr. Edith Maier works at the Institute of Information- and Processmanagement at the University of Applied Sciences FHS-St.Gallen. She has a background in applied linguistics, social anthropology as well as information science. Her areas of interest involve the examination of intercultural factors within the human-computer interaction, for example mobile health. 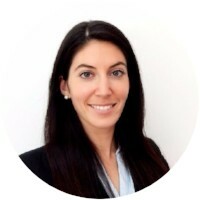 Another focus point of her research ist the application of behavioral-economical principles to support behavioral change (behaviour change support systems), especially within health care. Renate Praxmarer, MSc, is a nurse specialist and the head of the Mobile Palliative Bridging Service of the Krebsliga Ostschweiz. The Mobile Palliative Bridging Service is an outpatient specialised advisory service for palliative care at home. Prof. Dr. Ulrich Reimer works at the Institue of Information- and Processmanagement IPM-FHS at the University of Applied Sciences FHS-St.Gallen. His interests lie in the application of semantic technologies and data analysis methods in information systems, at present especially in the area of mobile health. In this field he was and is working on several projects that aim to provide the user of a mobile eHealth system with an added value through knowledge, for example through information on stress levels or on sleeping patterns. An additional and closely linked research topic concerns approaches to assist behavioral changes (behavior change support systems). Mag. 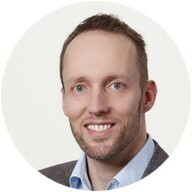 (FH) Tom Ulmer hast been working as a lecturer in the field of business informatics at the Institute of Information- and Processmanagement at the University of Applied Sciences FHS-St.Gallen since 2015. Aside of him teaching the module "Corporate Governance and IT-Management", he ist also active within the field of science and is concerned with the topics of digital health, mobile health, quantified self and active assisted living (AAL). Previously he was active as a software architect and product manager for software development within health care management for several years.